One More Reason Americans Don't Care About Kate Bush : The Record The success she enjoyed in the U.K. didn't translate stateside, but her influence is palpable among artists on both sides of the pond. Kate Bush in 1978. Although the success she enjoyed in the U.K. didn't translate stateside, her influence is palpable on both sides of the pond. When I was nineteen, I found two Kate Bush albums in a bin at my Catholic church's annual rummage sale, alongside the debut from Siouxsie and the Banshees. I gave the lady with the cashbox three dollars, took them home and entered into an obsession. I'd never heard music like this before — music made by women that wasn't strictly about falling for a guy, that instead ran on the fuel of wild feminine imagination distilled from myth and fairy tales, and fed by the isolation of being that weird girl in class that nobody knows how to befriend. That weird girl, me. I've often thought of that moment as the one in which I walked through my own personal Narnian wardrobe. The White Witch and the Dark Witch beckoned me; whom would I follow? I was tempted by Siouxsie's violent persuasions, but I opted for the girl who dreamed of being a lion. 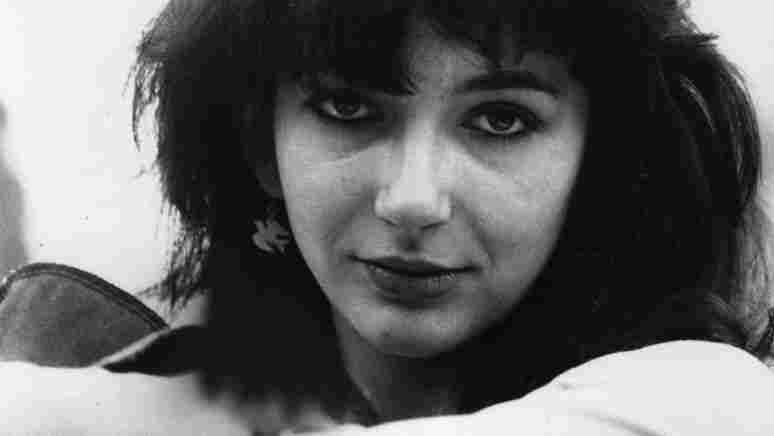 Kate Bush became my guide through my 20s and beyond. Marc Hirsh, another Bush devotee, writes today on the Monkey See blog about why Bush — who turned 53 last month, a couple of weeks before today's major birthday girl, Madonna — never made it in the States. I mostly agree with his conclusions, though I'd narrow the reason down to one: her refusal to tour. Other British weirdos, including Annie Lennox and Bush's pal Peter Gabriel, gained more traction in the States by cultivating a live audience. We Bush fans were left to watch concert films and dream. What's interesting to me now is not that Bush never had a Top 10 U.S. hit (she did make it into the Top 40 in 1985, with "Running Up That Hill"), but that her influence so strongly pervades today's indie pop. I remember being slightly startled when the Decemberists attempted Bush's "Wuthering Heighs" at a Seattle show in 2005 — the kids are doing their homework, I thought! Since then Bush 101 has proven a popular course. Tori Amos may be the artist still most frequently compared to Bush, and Maxwell gave her the biggest crossover hit a decade ago, with his version of "This Woman's Work." But in 2011, the daughters and sons of Kate are everywhere: Joanna Newsom, Allison Goldfrapp, Julianna Barwick, Lykke Li, Feist, Patrick Wolf, Florence Welch, Ariel Pink, and even Justin Vernon of Bon Iver — what would their voices be, cleaned of her traces? It's old wisdom to say there are two ways to be big in popular music: sell a lot of records (or, now, downloads), or deeply touch the lives of the next generation of outliers. We lovers of Kate Bush can rest assured that she's done that, more than most of her arty 1980s peers. I may still never get to see her in concert. But I feel her everywhere.